DARK SCREAMS: VOLUME 3 – Brian James Freeman and Richard Chizmar, eds. A good horror story is such a good find, and I’ve enjoyed the first two volumes in the “Dark Screams” series and was definitely looking forward to this. I am not a huge reader of horror fiction, though it’s long been a genre that I enjoy. Oddly, however, I’ve never been drawn to Peter Straub, so seeing his name on this collection was not something that appealed to me. Reading this story, “The Collected Short Stories of Freddie Prothero,” did nothing to change my opinion of Straub. I’ve seen the name Jack Ketchum and probably have even read his work before, though I can’t recall anything off-hand. His story “Group of Thirty” was very enjoyable. The best horror comes from unexpected and common sources and that happens here. The last story, “The Lone and Level Strands Stretch Far Away” by Brian Hodge, was also a bit of a let-down. The idea of common source for horror would seem to make this ideal, but the desire for a neighbor is predictable and boring. I very much like the idea of a mini-magazine-book that can be marketed easily to an e-only market. It makes a lot of sense. And for people like me, who don’t need the book and movie reviews or academic articles or poems or even sub-standard-to-average art that you often find in the magazine market, this format is very appealing. And when priced well I’m certainly willing to take a chance. For it’s price, this book is an okay buy, but this is easily my least favorite of the first three collections I’ve read. I’ll keep reading them, but hope that the stories get better. I also hope the editors or publishers will realize that we don’t need a sub-par story from a famous author to sell a collection like this. Five quality works by unknowns will serve the series better in the long run. Looking for a good book? 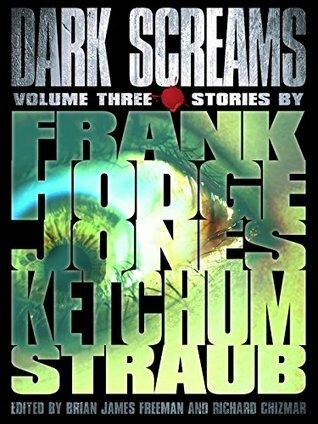 Dark Screams, Vol 3 continues a good marketing strategy of putting together just a few good stories to sell at a decent price, but this edition fails on the ‘good stories’ idea.